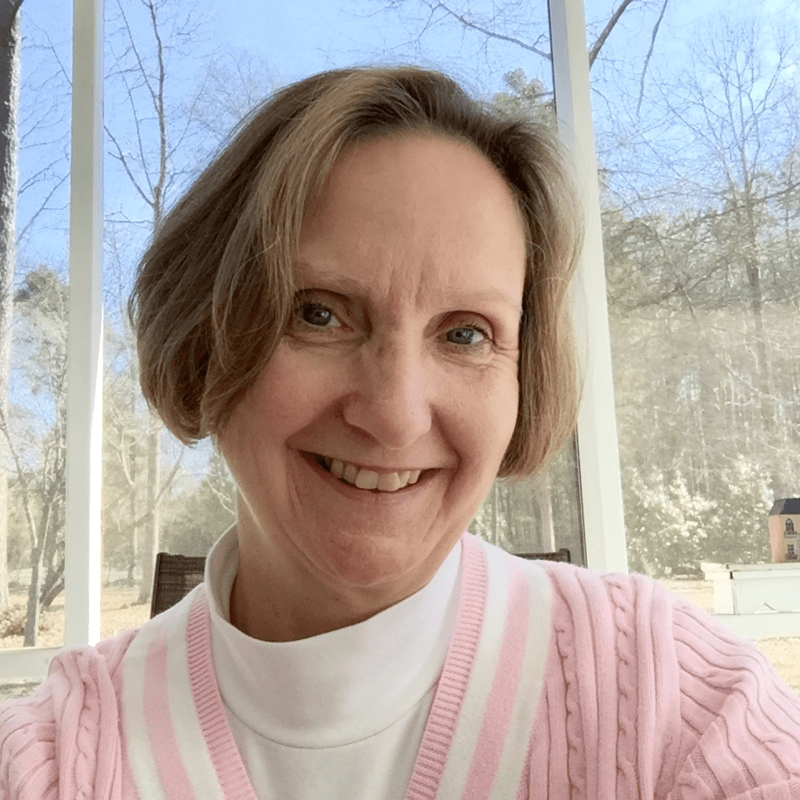 Hailing from Irmo, South Carolina with 17 years of teaching experience, Donna Bousman strives for fun, purposeful, and engaging instruction in her classroom at SC Virtual. Currently teaching math and science to 4th graders, she believes her students will always rise to the call when pushed towards academic success. Donna shares with us why she loves teaching in a virtual environment and why this setting is advantageous for families seeking options outside of traditional brick & mortars. In your own words, why and for whom was SC Virtual created? South Carolina Virtual Charter School was started in response to parents and educators statewide who wanted an alternate educational program for their children and students than what was available to them in their local public school. Families from across the state were ready for an innovative, effective, and research-based educational system. Partnering with K12, a world class curriculum, teachers and educators from around the state of South Carolina were ready for a technology infused 21st Century model of learning for students in kindergarten through 12th grade. Interest in and support for virtual education began in the highest populated areas of our state, Greenville, Spartanburg, Columbia, and along the coast, Myrtle Beach and Charleston. With South Carolina Virtual, students are welcomed from any and all socio-economic backgrounds. The vision for this school is to give parents, students, and teachers the educational tools and technology needed to be successful, along with the guidance and support necessary from administration. You could teach in a traditional public school—why charter? I chose to work for a charter school because I wanted to be a part of a school that completely embraced technology in 21st Century learning; a computer in every home, standards based curriculum, and individualized and group instruction with students from across the state. A school where parents are as much a part of their child learning as the teacher. Parents provide the one-on-one time with quality resources, while the teachers provide the professional education. This model eliminates the problem traditional settings have of reaching every child and using their strengths and weaknesses to grow academically and socially. I get to work with families who want to educate their children at home but may not have the resources necessary to do so. This model is really the key to a successful approach to learning. Why is SC Virtual such an important choice for parents? Being able to make the choice to learn from home or in a smaller more focused environment is what SC Virtual Charter is all about and the reason families choose our platform. The standards are rigorous, making sure that student learning is high-quality and students comply with state standardized testing. Students can learn in innovative ways away from the traditional model. I have families that travel for work and take their whole family with them. Students may be half way across the country but still are able to log on to class connect sessions. Their family structure is strong, the learning is ongoing, and the families have access and teaching from a highly qualified teacher. There are many children with serious childhood illnesses who cannot be taught in a traditional environment. Through SC Virtual, they can learn at home and progress at their own pace. What a difference for this student who may be recovering from a hospital stay or treatments of some kind. Some families reject traditional schools because of the bullying that is continuing to rise. Students in charter schools do not face that type of treatment as often or to as strong a degree. They are able to be nurtured by loving family members and teachers who care about their individual education. In what ways have people been supportive of your teaching? Students are able to come to live classes online or listen to recorded lessons. Because the lessons are online, I am able to teach using a variety of modalities and research based web tools. From the moment the students log in to class, I am able to greet them through my webcam and converse with them using a chat window. Students are able to chat with me, use polling tools, and run parts of the lesson using application share privileges. Students are able to move into breakout rooms, like a traditional small group, to solve math problems or to discuss scientific processes. Parents encourage me with notes letting me know how much they appreciate the way I spotlight their students. It is a natural outpouring of my daily lessons. What initiatives are you making to ensure your virtual classroom is accessible, equitable, and high quality? All students have a computer to log into classes every day. At the beginning of the school year, if students cannot afford a computer, they are supplied with a computer and printer from SC Virtual. The online courses and online classes are available as live sessions and recordings. If a student is away from home, they can log in to their online school remotely from anywhere that has internet access. Classroom sessions are set up using Blackboard Collaborate, which is a free download with all the tools necessary to hold online classes. If a student is unable to join live sessions for any reason, they are able to use recordings to catch up on the lesson they missed. What are some highlights of your instruction? I have a wide range of abilities and core knowledge that I use to implement project and inquiry based learning daily in my classroom. For example, one of the inquiry based learning opportunities I developed recently was a set of nighttime distance learning sessions with the South Carolina State Museum using the Alvin Clark Telescope. During our sessions, students learned about the components of a telescope and how a computer program is used to open the observatory window and move the telescope to different objects in the night sky. Once the lesson on the telescope was conducted, astronomers at the museum also took requests to view planets and stars in the night sky. Students who researched particular planets or star clusters were able to partner with the museum scientists to teach the class about the viewable stars and planets. This was all conducted virtually from the students’ home classrooms, my home office, and the State Museum. Student engagement is an absolute priority in every one of my classes. I frequently use songs, short videos, poetry, quotes, and games in my classes. In order to assure student engagement, I give the right amount of praise, corrective feedback that empowers students, and allow students to lead class discussions. Students are encouraged to send me evidence of how they applied a math or science concept in their everyday life. When they send me this evidence, their work goes into the class slides and they present their findings to the rest of the class. This happens often in my classes. Students are supportive of each other and this makes for a great classroom culture. Students collaborate daily with their peers in our online environment, utilizing technology enhancements such as the University of Colorado PHET simulations. Many other simulations also teach mathematics and science standards with an emphasis on student building solutions to problems. What has been your greatest accomplishment at SC Virtual? I was chosen as Teacher of the Year by my peers for this school year. I willingly share with my fellow educators any tests, lesson plans, and grading strategies that help promote student learning. I show how to create tests and quizzes with components of Study Island, a standards based teaching and assessment tool provided by our school. I share any specific strategies within our virtual world that promote student engagement. What has been a learning curve for you at SC Virtual? For students in SC Virtual, the academic pace is rigorous. I have to continually work with parents and other teachers to come up with ways to check for understanding for a large number of students. I am not face-to-face with my students on a daily basis, so I can’t “see” when they are having difficulty. Parents and learning coaches want to help their student as much as I do but sometimes they miss a cue or a telling sign that the student is not understanding. Often, I use my virtual classroom for tutoring sessions, so we can be face-to-face on a computer using a webcam. But often I have to develop different methods of evaluating what students know and what they still need to learn. Google documents and spreadsheets have been a great source of large classroom evaluations, as well as the online assessments that students complete within their online environment. However, I am always in search of a new and innovative assessment tools. If you had any words of encouragement for your students, what would it be? Students need to be allowed to make mistakes. True growth is evident when a student takes a task and has to overcome obstacles in order to achieve the next level of mastery. Let us compare two different students. Student A learned to read at a very early age, math came easy, and whatever task he attempted resulted in excellent grades. Student B learned to read by the time she started 1st grade. She struggled keeping up, writing notes in her science and math notebook, and kept working hard in all subjects. She studied hours for tests, wrote answers to questions and rewrote them when they were wrong. Student B also started to take notes on what was easy for her and what was more difficult. She began to notice her strengths and weaknesses. Back to student A, every subject just came easy to him. He would get by without studying, without having to self-evaluate, and continued to achieve high marks. Student A and Student B were very different but both students did enjoy school and had good rapport with their teachers. Along came 5th grade and the science fair/ inquiry project. There may be many such projects prior to 5th grade, but hear me out. For this particular task students have to find something they are passionate about, read, research, and develop a hypothesis for a question they need to answer. They can construct, experiment, and work with a team, interview, and even design new products that solve a problem. Student A has been so successful on his own that he struggles with the complexity and depth of knowledge needed to accomplish this task. Student B, with all the strengthening she has done throughout school, she takes this task as many of the others she has accomplished, and is able to accomplish all the facets with perseverance. My challenge to all students is to improve on their skills and knowledge, so that they can think critically and problem solve. As Julie Andrews once said, “Perseverance is failing 19 times and succeeding the 20th. In general, why is school choice so important for parents in this state? Charter schools have an effect on improving the quality of public education in South Carolina. According to State Superintendent of Education, Molly M. Spearman, “Providing public school options based on the needs of individual students and families is important to ensure that every child meets the Profile of the South Carolina Graduate.” This profile is an excellent way to make sure every student is college and career ready to meet the demanding tasks of adult life. When I consider the Profile, with our charter school’s mission statement, I see a combination of success for the students in South Carolina. Being able to make the choice to learn from home or in a smaller more focused environment is what Charter Schools are all about. The standards are rigorous, making sure that student learning is high-quality and students comply with state standardized testing. Students can learn in innovative ways away from the traditional model.